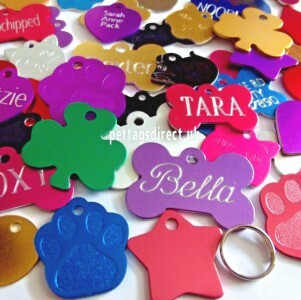 Cat & Dog Pet Id Tags 10 For £18. 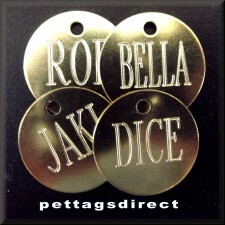 Multi-buy 2 Tags For 5.50. 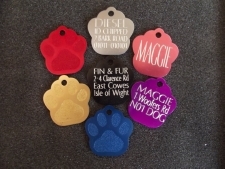 Multi-buy 5 Tags For £10.99. 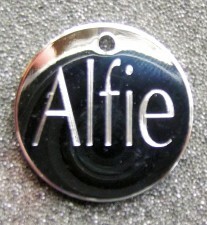 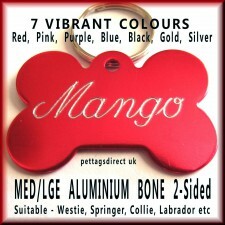 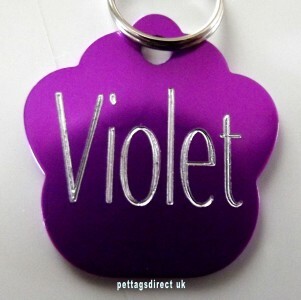 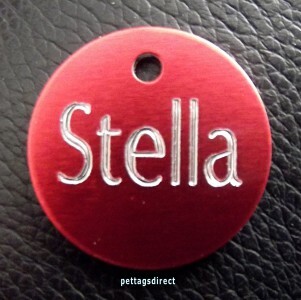 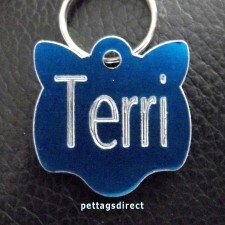 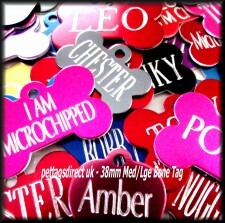 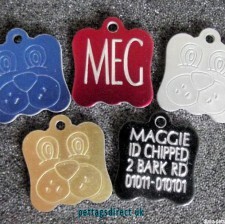 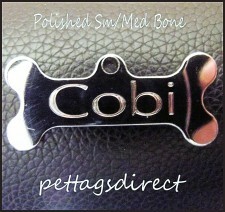 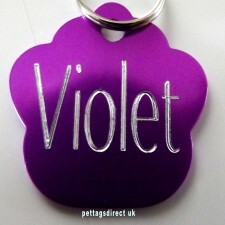 At ‘Pettags direct’ we offer quality pet tags at a fraction of high street shops and internet sites. 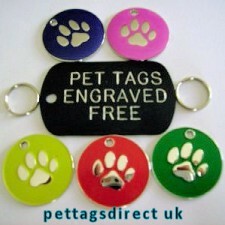 Our tags start as low as £2.99 with FREE UK POSTAGE with any tags purchased. 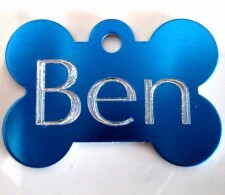 All our tags are posted the same day or next day via first class post. 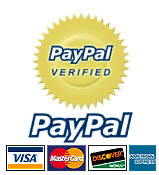 Delivery is normally between 1-3 working days. The Affordable Solution to ID your Pampered Friends!